Custom drawstring bags bear the stamp of nostalgic impressions of the cute childhood alright. 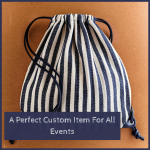 However, it is amazing to note that custom drawstring bags have always been popular toting options among people of all age and gender groups. Wonder why? Drawstring bags have always been well accepted for its gender neutral credentials. Be it women or men, these bags will look great on everyone. Easy to use and simple, these bags make a perfect option for a day out at the gym, a weekend ramble or a hiking trip. The spacious main compartment has enough and more space for all your essentials. But not having any side pockets might be a down side for those who are used to stuffing things in side pockets. Fashion styles go back to the past at regular intervals. The geeky round sun glasses, the striped shirts and the green corduroys have all made a comeback. In fact these fashion trends have always been around in some form or the other. So, that makes drawstring bags a trending item. Be it at the sports school, arts and crafts class or the yoga class, the fashion crazy guys and gals of the contemporary era will have something perfect to carry around. The youth love these expressions of the past and its vagueness. Expressing the personal style and breaking the norms have become the fashion equation these days. These colorful bags will invariably bring back the nostalgic memories of childhood in everyone and that is precisely what makes these custom bags truly popular. If the prevailing hide and seek between children’s and grandparent’s wardrobes is any indication, it can be assumed that drawstrings bags are popular among all age groups. Now that you have an overview of how popular these bags have been, we have listed out a few features of these bags that make them potent marketing tools. 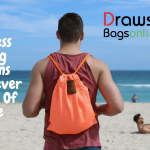 Choices galore: The big plus of drawstring bags has been the immense selection options on offer. Available in a palette of vivid colors in all possible shapes and models, these logo bags are something that not many people can overlook. 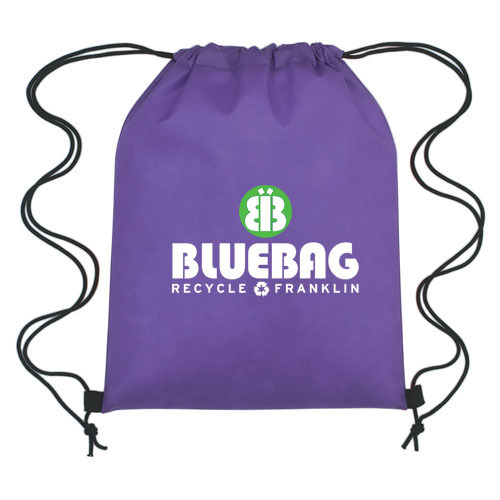 Light weight and available in various materials such as polyester, cotton, polypropylene, mesh, nylon, etc, these custom bags are here to stay for sure. Durability: Designed to last long and to bear the daily grinds with a grin, these custom bags are well suited for all outdoor activities like hiking, mountaineering and more. 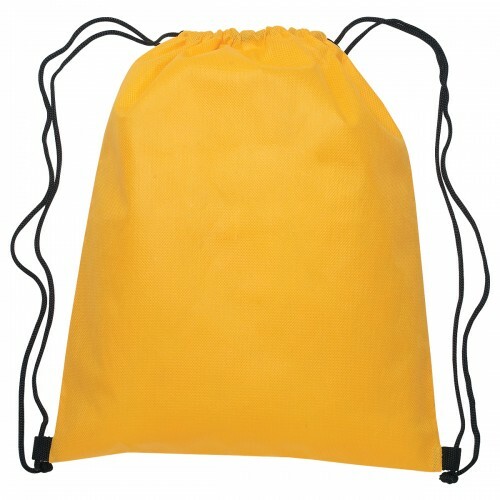 Models such as custom Drawstring Bags – Small Hit Sports Pack Polyester will make great choices to consider. 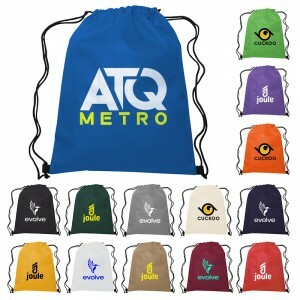 All season gifts: Drawstring bags make perfect gifts as tradeshow handouts and store promotional gifts and the best part is that everyone will love these versatile bags at all times. So, if you have a mixed audience to cater to, look no further than these popular gift items that are really hard to resist. 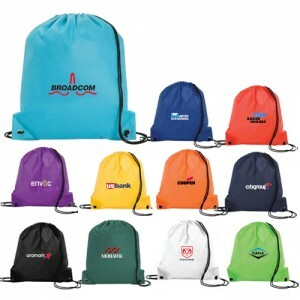 Drawstring Backpacks – Polypropylene will make a perfect choice. 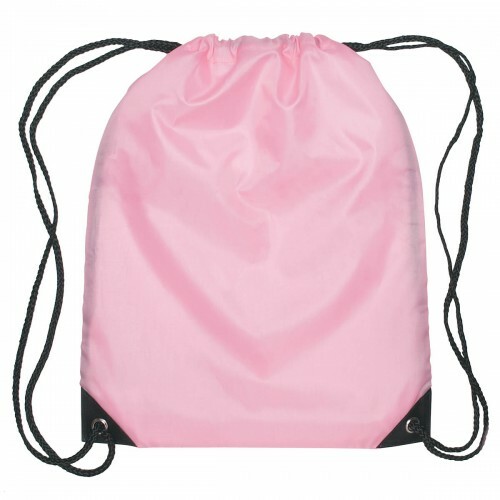 Easy to customize: The generous imprint area and the brilliant color choices of custom drawstring bags make it easy to customize these bags. 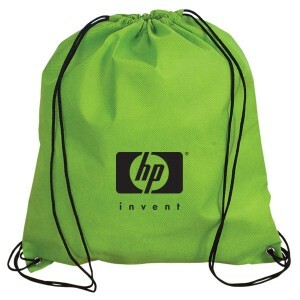 Imprint your brand, message, mascot or artwork and see the impact that these bags will make on your target audience. So, if you have been looking for a perfect gift for the busy bees, health freaks or people on the move, you have them covered them all with these amazing promotional items. Check it out right away.